Shane Harbaugh and Jake Harbaugh take the field. Did you know that Jim Harbaugh is now the head coach of Michigan Football? Apparently that’s all anybody seems capable of talking about nowadays. After the announcement that Harbaugh’s hiring was final, the sports world went berserk. Media coverage on the coaching change became almost impossible to avoid, with commentators speculating on every aspect of his potential. Some even went a step further, claiming the competition between Harbaugh and rival coach Urban Meyer of Ohio State would compare to the “Ten Year War” fought in the ‘70s between Bo Schembechler and Woody Hayes. The strongest passion for Harbaugh was felt right here in Ann Arbor. Fans and students alike flooded the town in support of their new coach, donning their most ill-fitting khaki pants and throwback crew neck sweaters. At one point, he became so popular that even sporting events on campus were disrupted. At a hockey game last year, Coach Harbaugh made an appearance at Yost Ice Arena to support the team. As fans noticed him, they immediately began chanting “Harbaugh” as loud as possible, ignoring the hockey game right before their eyes. In fact, during the chanting, the Wolverines scored late in the period to secure a crucial lead. 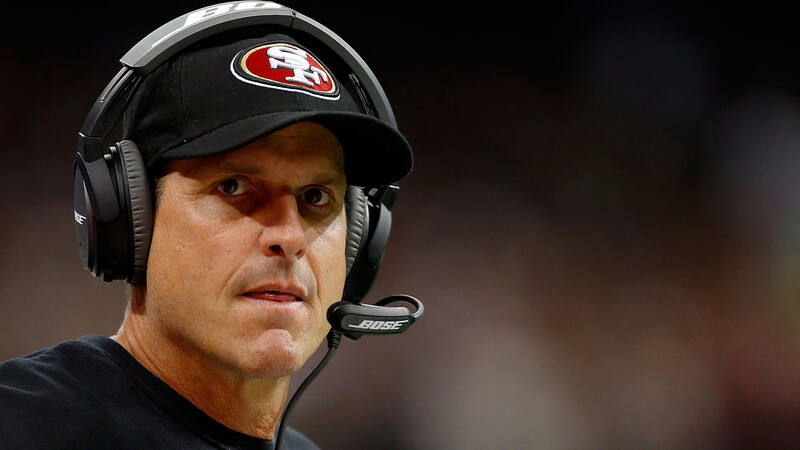 Nobody batted an eye, their focus completely engulfed by Harbaugh. With summer over and much of the initial euphoria at its end, my journey back to campus had me more excited than ever to see the start of the new Michigan Football era. I couldn’t wait to see the performances of new QB Jake Rudock combined with the lockdown defensive abilities of sophomore Jabrill Peppers. As the broadcast began this past Saturday against the surging Utah Utes, I waited in anticipation to see the team in its newly refined form. What I saw was not a focus on the team, but rather Coach Harbaugh. Harbaugh, Harbaugh, and a bit more Harbaugh. Fox Sports 1 went to extreme lengths to cover the man to the fullest extent possible. They even had a “khaki cam” streaming on their website, focusing solely on Harbaugh at all times. Even the television graphics representing each team were skewed toward the Coach’s stardom. Utah’s graphic showed their star running back Devontae Booker. Michigan’s graphic was yet another photo of Harbaugh, hunched over and yelling at his players. To be clear, I am not against Harbaugh as head coach. But the cult of personality that surrounds Harbaugh’s homecoming is starting to be ridiculous. As the game began, fans finally learned that Rudock would begin the season as starting QB. I hoped this would finally shift focus back on the Wolverines as a whole. But the Harbaugh coverage didn’t end there. Seemingly every remark made by the commentators ended up being about the coach. Specifically, every time Rudock threw an interception–of which there were three–nobody spoke about his performance. “Harbaugh’s not gonna like that,” they quipped instead. The game ended in a 17-24 loss riddled with offensive inconsistencies, but there was no conversation about that. The conversation surrounded only Harbaugh. To be clear, I am not against Harbaugh as head coach. I believe that his unique perspective on the game and ability to attract top recruits will lead to the revival of Michigan Football that we so desperately need. Harbaugh’s talents are boundless, and I hope he will remain in Ann Arbor long after I graduate. But the cult of personality that surrounds Harbaugh’s homecoming is starting to be ridiculous. His image has invaded every aspect of the sports world, including coverage for other teams. Even ESPN’s College Gameday for the highly anticipated Michigan State v. Oregon game contained an entirely unrelated segment on the coach, adding to a nationwide “Harbaugh-Mania”. I understand how excited fans must be to finally have a coach with some promise, but simple coaching ability will not be this team’s salvation. Ultimately, the players–not the coach–will dictate the success or failure of this year’s team. 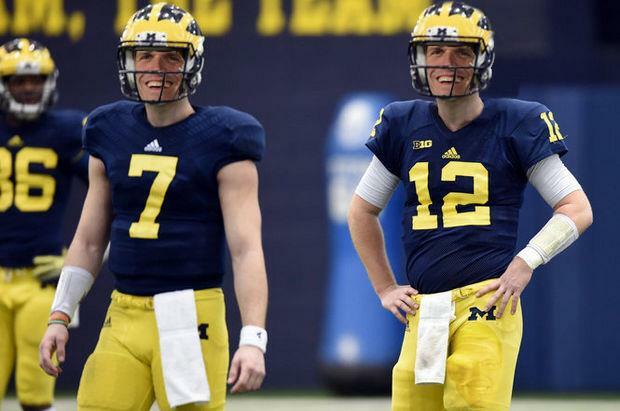 As much as fans might love to see it, Harbaugh cannot throw the ball for Rudock. Nor can he cover the pass for Peppers, nor run for De’Veon Smith, nor catch for Amara Darboh. It will be an incredible year for the team behind Michigan Football. A fresh class of recruits combined with an all-new offensive set will lead to some captivating position battles, allowing new stars to shine. The tailback situation seems particularly volatile, as Smith’s performance against Utah proved quite underwhelming. With all these changes, something spectacular is brewing in the Big House. We may not see any miracles right away, but with time they will come. And Coach Harbaugh will be there every step of the way. As Michigan’s schedule brings them home to face some tough non-conference competition, the town will undoubtedly turn into a swarm of maize, blue and especially khaki. The Big House will erupt in cries of blind support once Harbaugh takes the field. And when it does, let us be sure to remember the players behind the coach. They tend to be rather important. Jake Thorne can be reached at jnthorne@umich.edu.